Rose-gold tone stainless steel case with a brown leather strap. Brown dial with rose gold-tone hands and index hour markers. Minute markers around the inner rim. Dial Type: Analog. Luminescent hands and markers. 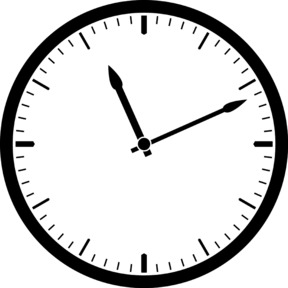 Date display at the 4 o'clock position. Chronograph - three sub-dials displaying: time second/ chronograph second hand, chronograph minute/1/20 second hand hand, mode. Eco-drive movement. Scratch resistant mineral crystal. Pull / push crown. Solid case back. Case diameter: 48 mm. Case thickness: 12 mm. Round case shape. Band width: 23 mm. Band length: 7.5 inches. Tang clasp. Water resistant at 100 meters / 330 feet. Functions: chronograph, date, hour, minute, second. Additional Info: rotating inner ring. Sport watch style. Watch label: Japan Movt. Item Variations: BL5403 03X, BL5403.03X, BL540303X. 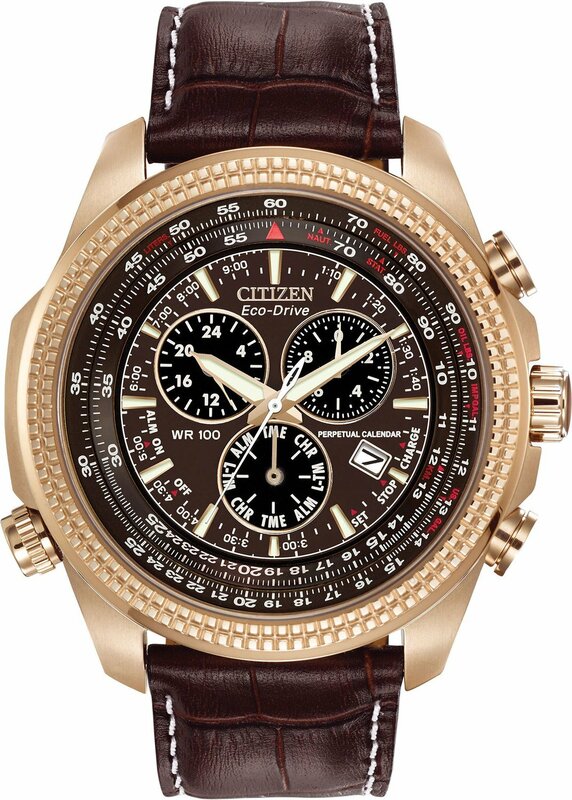 Citizen Perpetual Calendar Chronograph Brown Dial Mens Watch BL5403-03X.